The Quadrifoglio Verde four-leafed clover badge goes back a long way - it was first used as a good luck symbol on an Alfa Romeo racing car in the 1920s. Since then it has appeared on numerous high-performance Alfa Romeo road cars and racers - so it has quite a heritage. 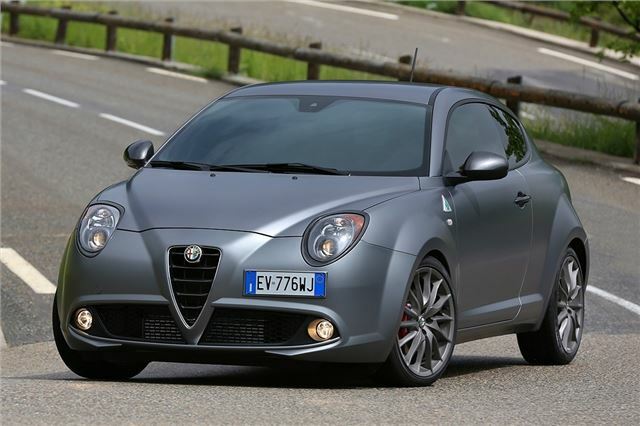 That means the updated Alfa Romeo MiTo Cloverleaf - now called Quadrifoglio Verde, or QV, has a fair amount to live up to. On paper at least it has the figures to mix it up with the current crop of hot hatches. The 1.4-litre turbocharged petrol engine produces 170PS, sent to the front wheels through a now standard-fit TCT dual-clutch transmission. That’s less power than the likes of the Ford Fiesta, with 182PS and the Peugeot 208 GTI, with 200PS - but from 0-62mph it doesn’t lag far behind with a figure of 7.3 seconds. Power is the same as the outgoing Cloverleaf, but emissions have been reduced from 139g/km to 124g/km, thanks in part to the change from a manual gearbox, which isn't even available as an option, to the six-speed TCT. That drop means cheaper annual tax, but also reduced fuel consumption. The official figure is now 52.3mpg – so fuel bills should be cheap. 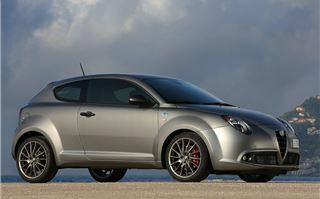 The MiTo QV looks the part, with styling reminiscent of the 4C and 8C. But the stylish exterior appearance unfortunately doesn’t continue in the cabin. Everything is neatly laid out and there are some really nice touches, including beautiful seats, but the choice of plastics and the carbon-fibre effect soft touch material on the dashboard don’t exactly scream quality. More important is the way it drives and on that front the MiTo is something of a mixed bag. It sounds good, with a deep exhaust note, but the TCT transmission is often slow-witted, changing up and down when you’d rather it held on to a gear - even when in the paddle-shift operated manual mode. Furthermore the steering, while nicely weighted, isn’t particularly communicative, which takes away some of the involvement you’d expect of a hot hatchback. The suspension set up is very well judged, fortunately. The roads in Italy where we drove the MiTo QV are as potholed and rough as those in the UK, yet despite its hot-hatch pretensions the car coped well, absorbing all but the most severe cracks and holes without any difficulty at all, even those mid-corner. Along with the comfortable ride, the handling is also good. It’s easy to place the MiTo accurately and it has masses of grip. It clings on to the tarmac with little body roll. The Brembo brakes do a good job too, with a lot of feel and progression without too much of a sharp initial bite. They are nicely balanced for the road – you can be smooth in heavy traffic or stop quickly when you’re in a rush. That’s part of the appeal of a dual-clutch transmission, but many hot hatch buyers will lament the extra level of interactivity and control offered by a traditional manual. Alfa Romeo’s DNA system remains. The driver can toggle between Dynamic, Normal and All-weather modes with a switch near the gear selector. This adjusts the traction control, throttle response and steering weight to suit the conditions, but the differences between modes aren’t huge. Most will probably decide they like D or N best and leave the selector there for good. There’s not a lot of space in the MiTo, either. Back row passengers will struggle to get in and they’ll find tight knee and head room once they’ve squeezed past the front seats - the MiTo QV is three-door only. The boot is good enough for most purposes, with a capacity of 270 litres, but it has a high load lip that makes loading and unloading bulky items a bit of a pain. It might be a swift car, but the QV doesn’t feel quite as boisterous as a Ford Fiesta ST or a Renaultsport Clio. That might be considered a blessing for people who don’t want fast paced antics on every single journey and instead would rather leave the transmission in D and relax. However, knocking off the exciting edge does dull the appeal of the MiTo, especially when the calibre of its rivals is so high. 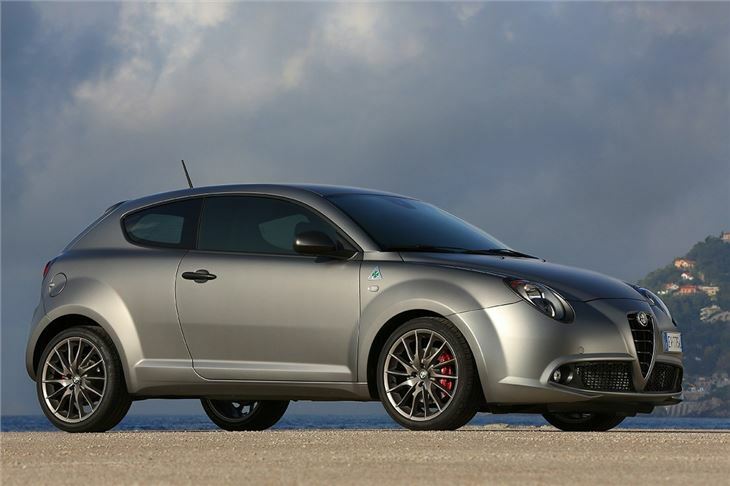 The MiTo QV is expensive, too. At £21,120 it’s significantly pricier than its chief rivals from Ford, Peugeot and Renault. The Renault is closest in character to the MiTo with its dual-clutch transmission, but it’s more exciting to drive. At the other end of the spectrum, the MiTo QV is more expensive than the larger Kia Pro_Cee'd GT, a car that is also better made. On the plus side there is a good level of equipment, with adaptive suspension, electric windows and touchscreen with navigation, but for the sporty leather or bucket seat options you’ll need to spend more. In isolation the MiTo QV is a perfectly good car - there’s no denying that it’s fun to drive, it’s got plenty of Italian style and it’s even comfortable and economical enough to be an everyday car. As a hot hatch though the MiTo simply isn’t as good, especially given the price tag. Alfa Romeo aficionados will no doubt see the appeal, but if you’re not loyal to the brand then there are better choices on offer.